Yes, I’m getting “the itch,” that feeling virtually all knitters get that they just HAVE to start a new project. I’m doing my best to resist scratching that itch, but I don’t know how long I can hold out. 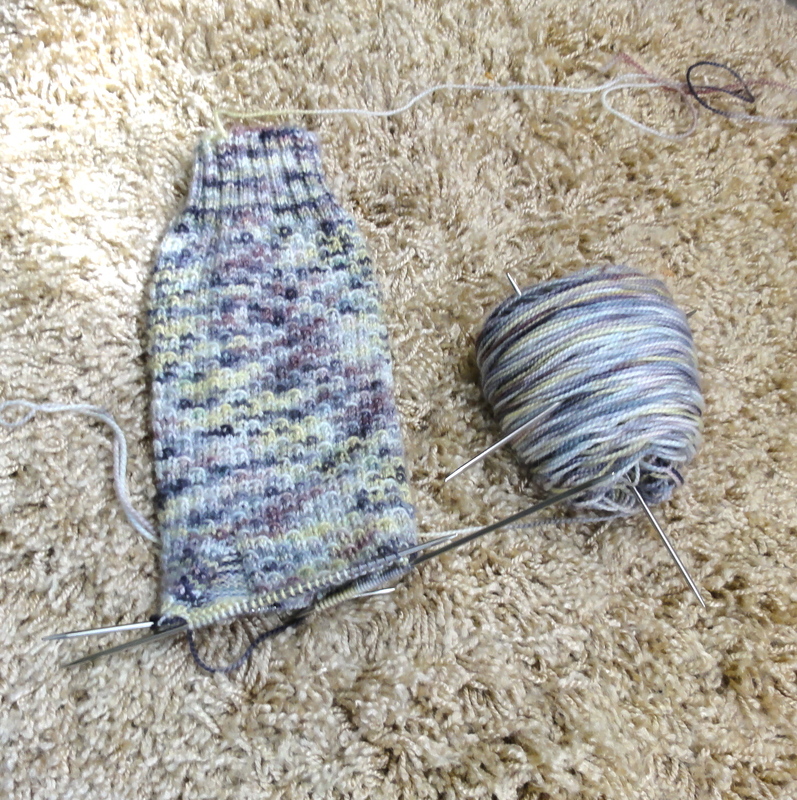 Fortunately, socks do not count as new projects, so I can cast on as many socks as I like. I’ve been working a little on my Show-Off Stranded Socks and I’m nearly finished with the gusset increases of sock number one. I have to admit that I really don’t understand the “Stranded” in the name of this sock pattern. There’s no stranded knitting whatsoever in the entire sock. But that’s neither here nor there. The pattern is fun to knit and I think it shows off my Cherry Tree Hill Supersock to the max. I hope to finished these socks in less time than it took me to complete the Brown Garter Rib socks. This entry was posted in Knitting, Socks and tagged Cherry Tree Hill Supersock, hand knitted socks, knitting and football, Show-Off Stranded Sock. Bookmark the permalink. Resist the itch! It’s so tough sometimes though… I currently have three things on the needles and more things in planning.